Approximately 90,000 adults in Leeds are either offline and/or lack basic digital skills. The council’s 100% DIGITAL LEEDS programme will ensure that digital inclusion brings positive outcomes for these people, including financial savings, reduced isolation, better employment prospects and improved health and wellbeing. It will work with partners and community organisations to identify groups and individuals who will most benefit from the programme. 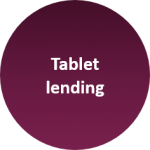 We’ve already rolled out the UK’s largest tablet lending scheme. 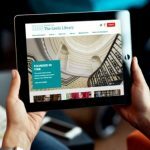 Leeds-based organisations working with digitally excluded people can borrow iPads to help bridge the digital divide. The tablets all have SIM cards meaning that you can get online straightaway and with training on offer to help get you started, what’s stopping you!? We’re working closely with Good Things Foundation, a social change charity that supports socially excluded people to improve their lives through digital. We are working together to create the 100% Digital Leeds movement, made up of organisations across the city who can support people to get to grips with digital. If your organisation is supporting communities in Leeds, join the network and you could be eligible for one of our activation grants. If you have any questions about any aspect of the council’s digital inclusion programme, please use this contact form. 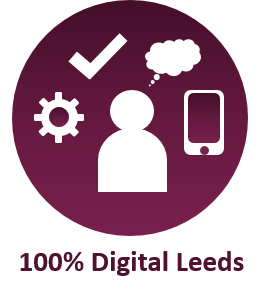 Our successful 100% DIGITAL LEEDS programme is targeting some of the most digitally excluded citizens in Leeds. It’s important that for our city to continue to thrive, we all need the appropriate skills, technology and support to get the most out of being online. 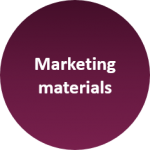 WE ARE providing residents with the digital skills to enable them to get the best online deals. WE ARE building on the UK’s largest and most successful tablet lending scheme to provide access to equipment. WE ARE expanding our work with the UK’s leading digital inclusion charity Good Things Foundation to support socially excluded people improve their lives through digital. 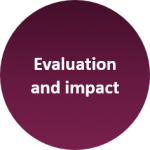 WE ARE working with UK digital charity Nesta to expand our public engagement and create a Public Innovation Panel to encourage people to get involved. 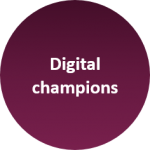 WE ARE creating a network of Digital Champions volunteers who will support their neighbours, communities and colleagues. 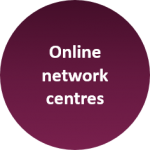 WE WILL encourage organisations to join the Online Centres Network which works to tackle digital and social exclusion. 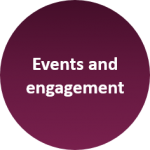 WE WILL attend events, community groups and meetings to raise awareness and offer support.